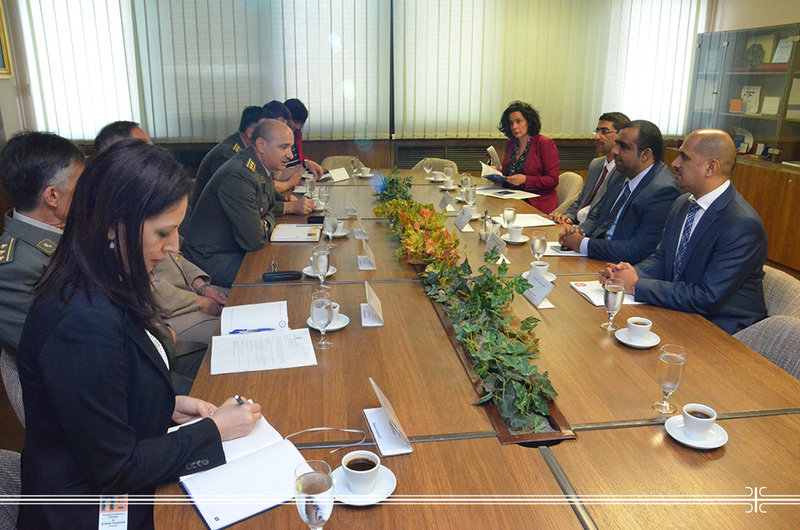 Members of the high delegation of the United Arab Emirates (UAE), who are on a visit to the Ministry of Health of the Republic of Serbia, visited the Military Medical Academy (MMA) on May 15, 2017. Doctors from UAE were introduced, during the meeting that was led by Deputy Head of the Military Medical Academy Colonel Prof. Dr. Dragan Dincic with his associates, with the MMA capacities in the field of treatment, especially surgery and transplantation, as well as the possibilities of education and training at all three levels of academic studies in the MMA Medical Faculty. The conclusion of the meeting is that there are many areas of common interest for the future cooperation, which will further be facilitated by the announced opening of an office that will be at the disposal to patients from UAE in Serbia.